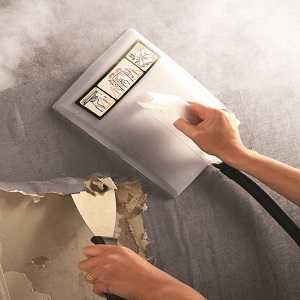 The 715 Power Steamer is ideal for the quick and effective removal of all wallpaper types. The one-gallon tank provides up to 70 minutes of steam from one fill. 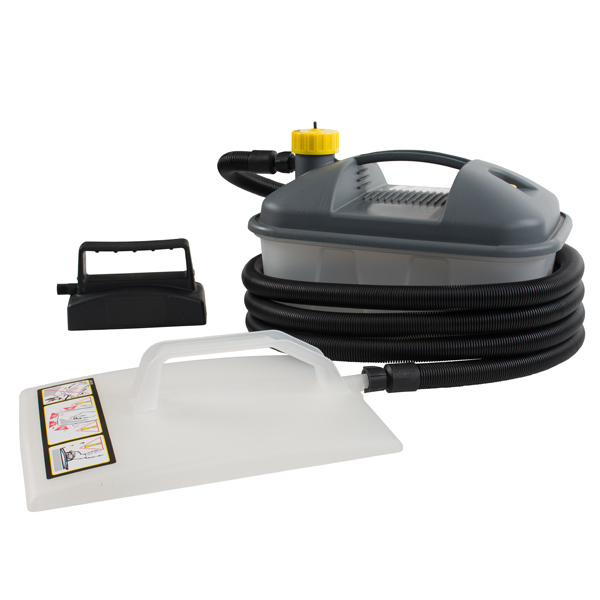 The steamer comes with a large 8" x 11" steamplate for large work areas and a small 3" x 6" steamplate for small work areas. 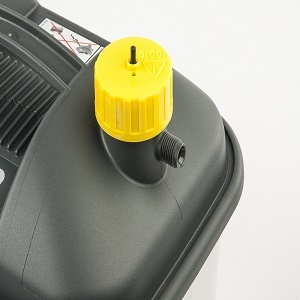 The 12' cool-touch hose allows the user to work over a large area without constantly relocating the unit. 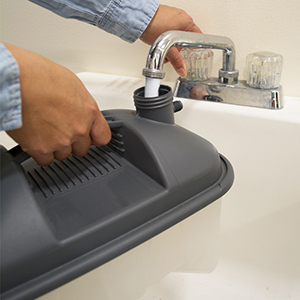 The steamer is for water use only, so it is environmentally friendly and cost effective to use. 715 Power Steamer is rated 4.2 out of 5 by 17. Rated 5 out of 5 by Deanf23 from Very Good It's not a commercial steamer so don't expect it to be. It is a very good small steamer for home use. Requires some patience to wait for it to saturate and soften the wallpaper but once it has the paper comes off easily. Removed a whole wall floor to ceiling in about 45 min and this was wall paper that simply refused to come of with any other method. Only one issue the hose is still and until it gets warm a royal pain to work with. Overall good product for the price. Rated 5 out of 5 by Chaz777 from Great product I first tried using fabric softener with hot water to remove wallpaper. It was a mess and took a long time to remove small amount of wallpaper. Went to Home Depot and bought this steamer. It works great and removed 30year old wallpaper fast! 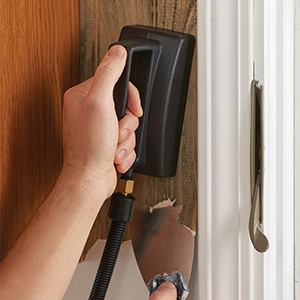 This is a great product and don’t waste your time on any other method of wallpaper removal! Rated 1 out of 5 by Annoyed from Poor product Don't waste your time with this unit, go rent a professional steamer. It only steams at the very bottom where the port comes into the plate. Cheap design, for another few $ of cost they could have had more ports throughout the plate. I'm returning my unit tomorrow and renting a proper one. Rated 1 out of 5 by Bob401 from Do not buy under any circumstances!!! I bought the Wagner model 715 steamer for $50 at Lowes. It worked great for the first couple of times, then it started taking forever to generate steam and then it would stop steaming after 2-3 minutes. I was always conscious of the water level to make sure it never ran low or dry. I bought another one and it did the same thing. If I could give this product 0 stars, I would. I now have to shop for another (albeit a non-Wagner) steamer to finish my renovations. I cannot say enough bad things about this product. Rated 4 out of 5 by Miltysmom from Sturdy product and easy to use! I wanted this product to remove layers of very old wallpaper from a small cottage bathroom. Firstly, there are only a few pieces in the box which makes it very easy and quick to put together. Like other Wagner products, the item felt sturdy. The instructions were very easy to follow and within minutes I was able to begin using it. It took about 10-15 minutes for the water to heat up and steam to be hot enough to start working. 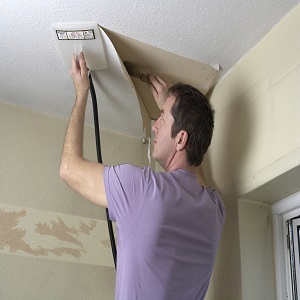 Some water will drip down the wall as it's being used but having a sponge handy will take care of this. The steamer did a great job at areas with only one layer of paper, but a couple of passes were needed for multiple layers. 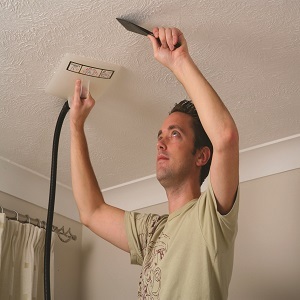 The smaller attachment is very handy for steaming small areas around light switches. Rated 5 out of 5 by Kathy40 from Better than a rental I only have border paper to take down and this works great. The industrial size rental I used for $33/ day did not work as good as this. I heats up fast, and produces plenty of steam. The part of the paper that was not prepped properly when put up takes long, but it is all coming off. Rated 5 out of 5 by icare_dou from WOW!! 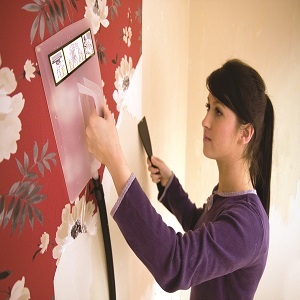 Wallpaper removing made easy. I removed floor to ceiling wallpaper in a hallway, kitchen, laundry room, master bathroom and guest bathroom in 5 hours. Based on previous removal projects, I thought I was looking at a 3 day project. I forgot the scraper, so just the steamer and fingers. As a frequent DYI this was by far the easiest wallpaper removal job in my 60 year lifetime. Take your time and let the steam heat and moisten the old glue. It did take about ten minutes to heat the water to produce steam, but I had to start with cold water as water heater was not working. I did my water refills when moving between rooms and used the heating time to clean-up the previous room. My run time per filling would have been about 150 minutes or double the specs as I used 2 gallons of water for the entire project. My interior house temperature was 50 degrees as the furnace was not operating. Bottom-line best DIY tool investment I have made in a long long time. I was impressed and cannot recommend this product enough. why Power steamer will not get hot enough to steam. Try cleaning the heating element with a 50/50 mixture of white vinegar and water. Let it sit in the tank for 30 minutes then pour it out. If it's milky, those are hard water deposits that are stopping it from heating up. Rinse and repeat if it seems bad enough, then try heating water again. I am considering using the steamer for another small project that requires very high temperature steam. Can you tell me what the temp of the steam coming out of the 715 is? The 715 steamer can reach temperatures of 212 degrees but coming out of the hose it may be a little less. If you would like to discuss this or have further questions feel free to call us at 1-800-328-8251. Wondering if I could put a solution of vinegar and water in the tank to break up some of the glue as well? There is no reason for glue to be inside the tank. 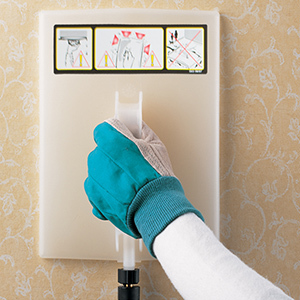 The vinegar/water mixture eliminates the hard water deposits left on the heating element. For more information call us at 800-328-8251. I have a Wagner wallpaper steamer. The tank tipped while hot and the coils were not under water. The coating came off the coils. Am I ok to still use it? Can vinegar be used instead of water in the 715 model? &nbsp; &nbsp;Old wallpaper with a *paste* backing.......vinegar, in a spray bottle, works nicely and removes the wallpaper with the paste/glue. &nbsp;However very slow. We suggest a 50/50 mix of water and vinegar. Good luck with your project. Does this work with 220 voltage? Do you ship to Israel? What's the difference between the 60$ steamer and the 80$ steamer? This steamer, sold in the US, is designed for 120Volt 60hz electric. If you need a steamer that operates on 220 voltage then you can check with one of our international distributors at this link, https://www.wagner-group.com/en/consumer/service/service-for-consumers/servicenumbers-international/. does the 715 work on painted wallpaper? Yes, the 715 will work on painted wallpaper. Just score it as usual. For further help you can also call us at 800-328-8251. Thanks for your inquiry, have a great day! Is it possible to buy the steam plate for this product? Sure you can, it's part #2353928, give us a call to place an order at 800-328-8251.